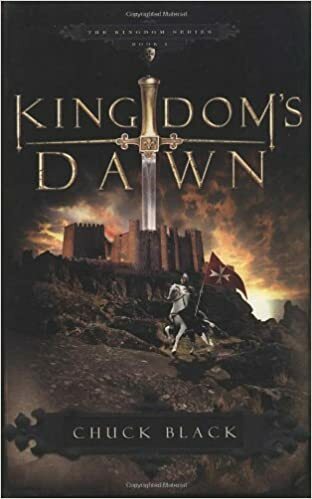 So, after attending our local homeschool convention and meeting author, Chuck Black, I decided to read the books our youngest son loves, and it all begins with Kingdom’s Dawn. This is a series of books written for elementary and middle grade readers, but after reading the first book of “The Kingdom Series”, I have to say that I am hooked and looking forward to reading the rest of the books in the series. Kingdom’s Dawn is very well written and it is a Fantasy story with knights, the world of Arrethtrae, and unusual creatures. 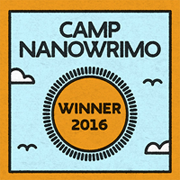 The story included plenty of action and adventure, conflicts and battles. I came to love the characters quickly and my interest was held throughout the entire book. I forgot I was reading an elementary/middle grade book and just got caught up in the story. In addition to being a great Fantasy story, I love the fact that it’s also an allegorical story that, as a Christian, pointed me to many of the truths of the Bible. However, if you aren’t a Christian or you don’t like to read Christian books, those things may not be evident to you, and the book is not preachy in any way. Therefore I believe these books would appeal to all Fantasy readers, most especially to those Fantasy readers who enjoy tales of knights, castles, and kingdoms. I look forward to reading the next book in the series and following Leinad’s journey, with the hope of meeting Cedric, who tells Leinad’s tale, in a future book. Also, these books do not take long to read. I finished this first book in about six hours and our son, who is a middle grade student but reads above his grade level, finished each of these books in about a week (that’s reading about two hours a day). So if you’re looking for a good summer read for your children, I highly recommend this book. Our son recommends all of Chuck Black’s books to ALL of his friends!